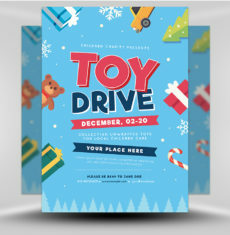 With decorations everywhere, cookies in the oven and the kids decorating the tree, hints of creativity are everywhere this time of year! 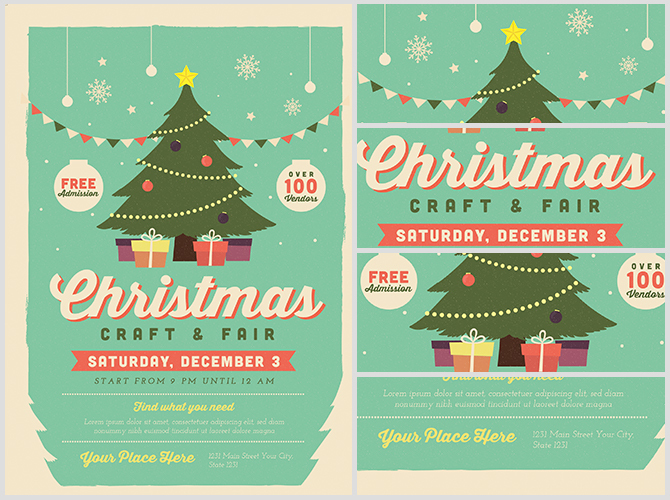 Why not host a craft fair so the good people of your community can show off their Christmas creations? 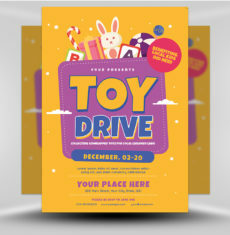 A neighbourhood craft fair can be a great way to raise money for the community and meet your neighbours, while also adding to the Christmas cheer! 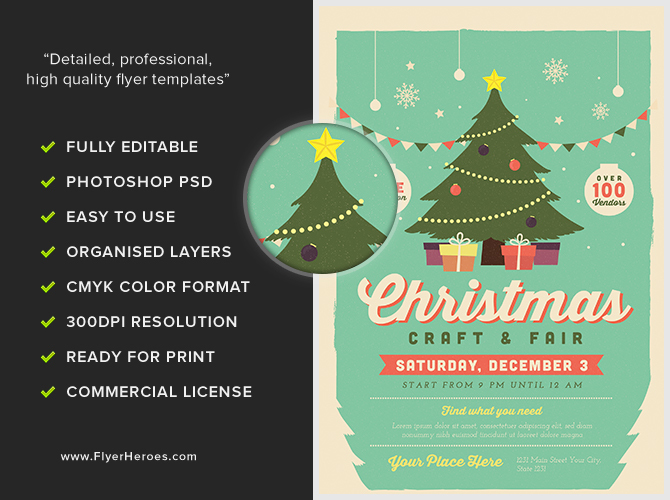 This season, throw a craft fair and promote it with the Christmas Fair 2017 Flyer Template from FlyerHeroes! 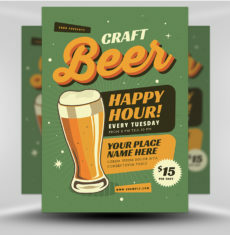 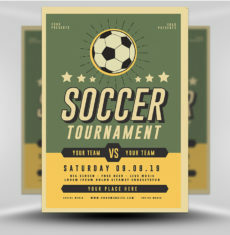 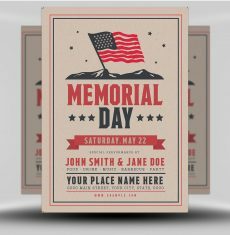 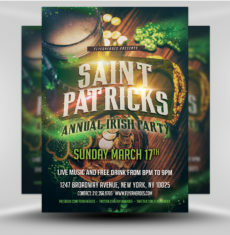 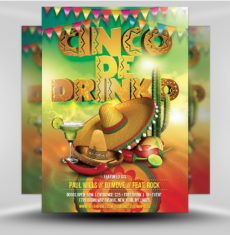 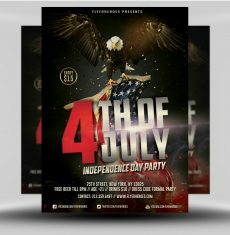 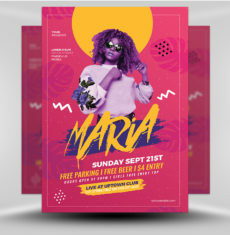 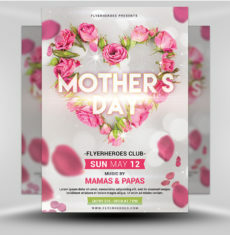 This flyer template is as colourful and creative as your arts & crafts! 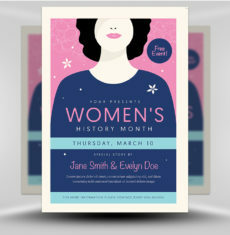 Plus, it’s fully customizable, so you can change the text to reflect your craft fair details! 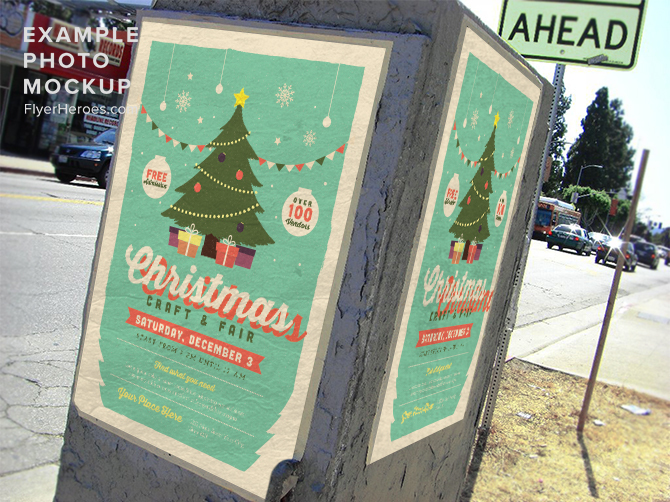 Let your community know when it’s happening so they can start their Christmas crafts now! 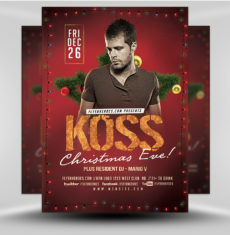 There are other options when it comes to Christmas gatherings. 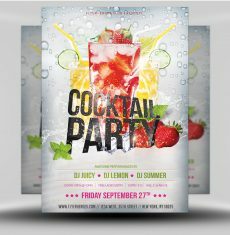 If you want to create, but aren’t much of an artist, try the Cookie Decorating Party Flyer Template! 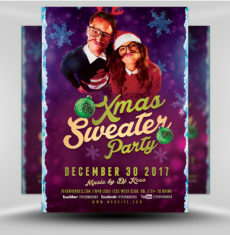 Or, invite the whole neighborhood together for a party with the Neighborhood Christmas Party Flyer Template! 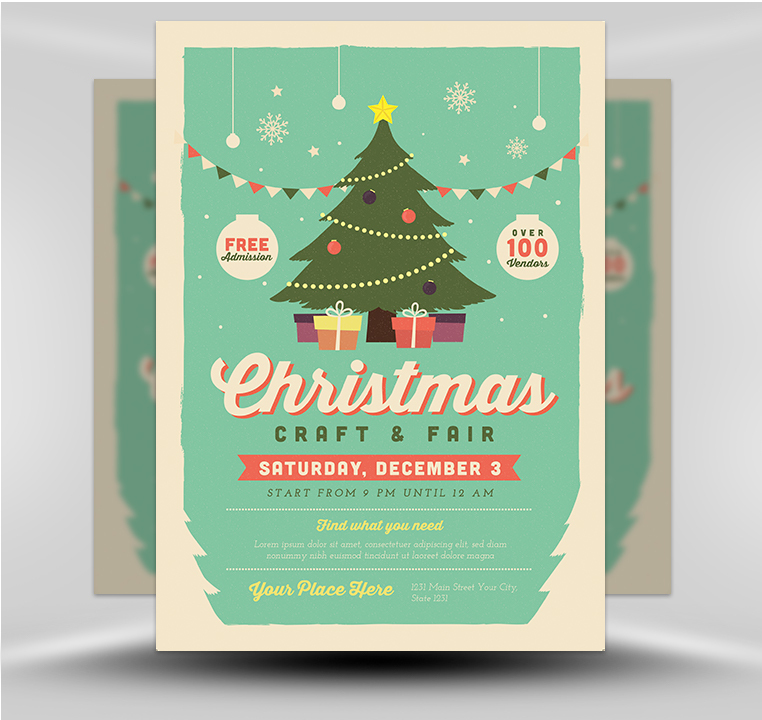 If you want your Christmas craft fair to be an incredible success, promote it with the Christmas Craft Fair Flyer Template from the pros at FlyerHeroes! 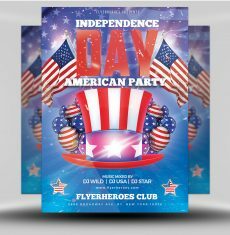 The Christmas Fair 2017 Flyer Template is a premium Photoshop PSD flyer / poster template designed by FlyerHeroes to be used with Photoshop CS4 and higher.